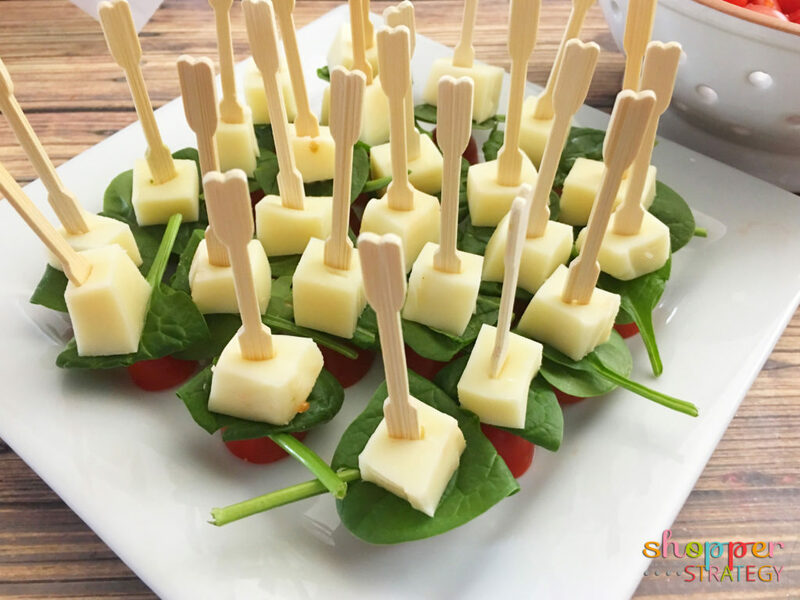 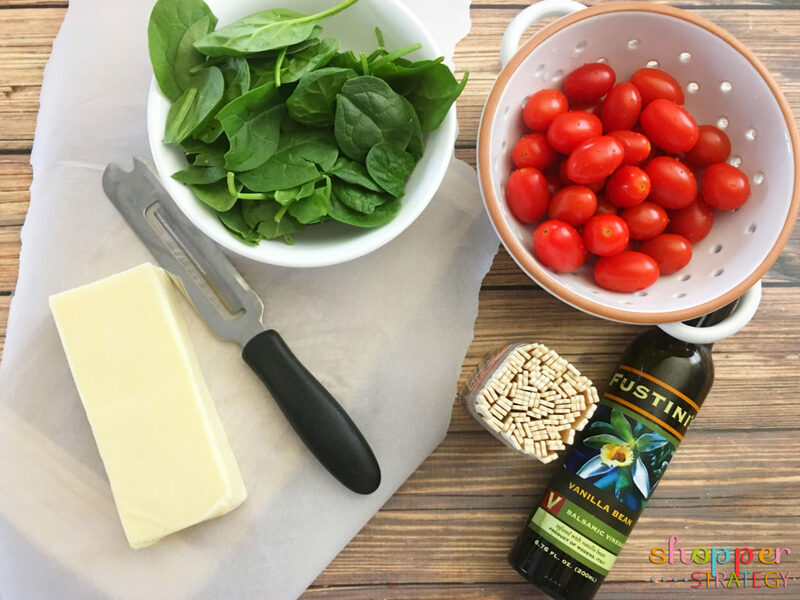 These Caprese Salad Bites are a crowd pleaser since they’re made from from a few simple ingredients – mozzarella cheese, fresh baby spinach, cherry tomatoes and your favorite balsamic vinegar. 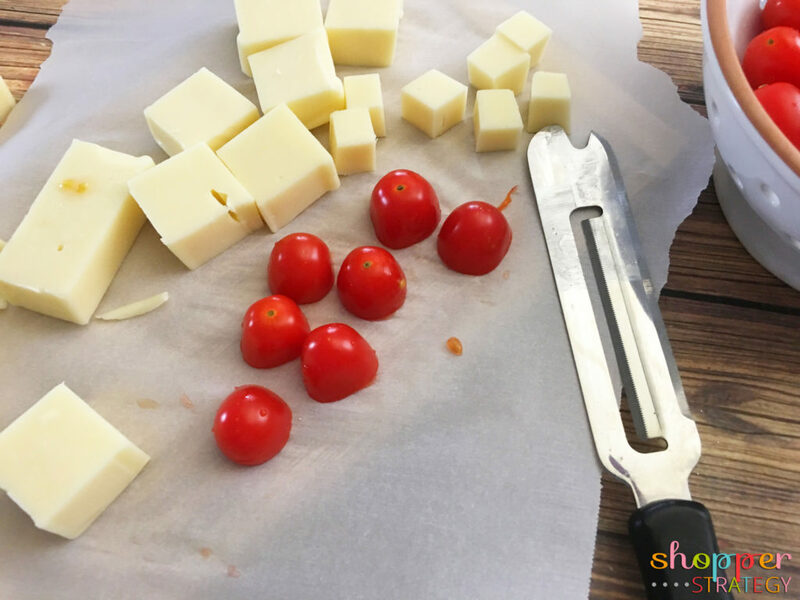 Cut a block of mozzarella cheese into bite sized chunks and then cut the cherry tomatoes in half. 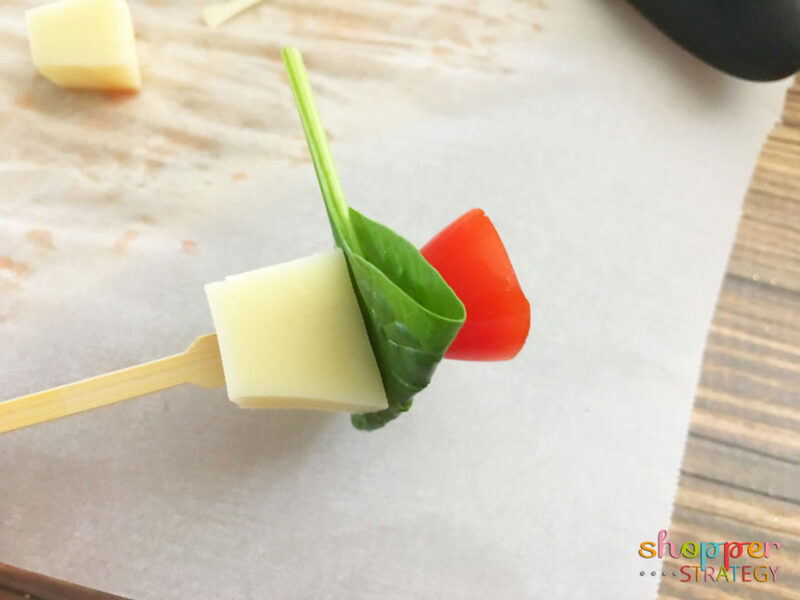 First place a cheese square onto a bamboo skewer, then a piece of spinach folded in half, and a tomato half with the cut side facing down away from the spinach. 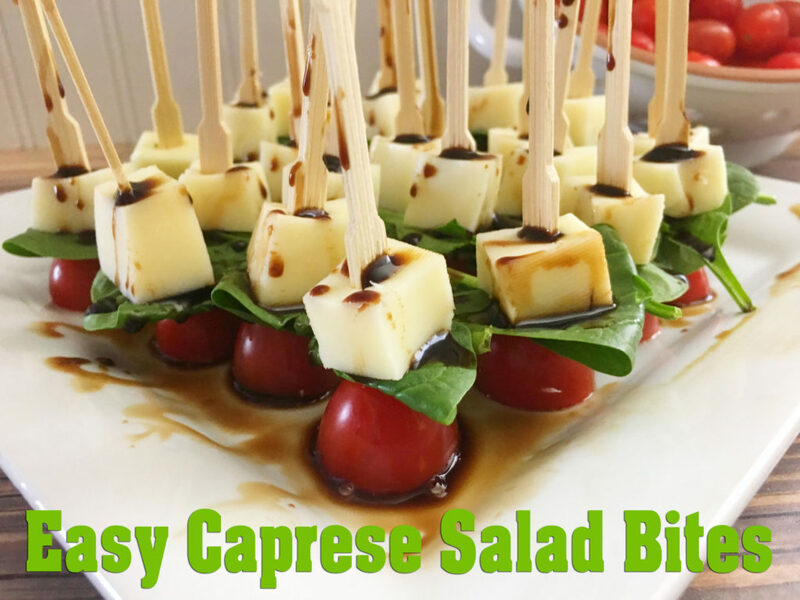 Arrange all of the Caprese Salad Bites on a serving tray, drizzle them with balsamic vinegar and get ready to dazzle your guests! 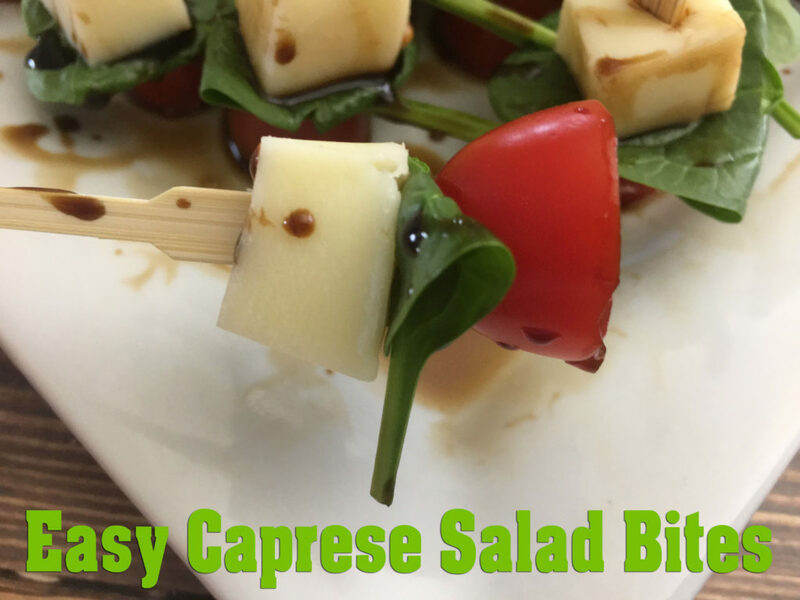 Drizzle your balsamic vinegar onto your caprese skewers and enjoy!